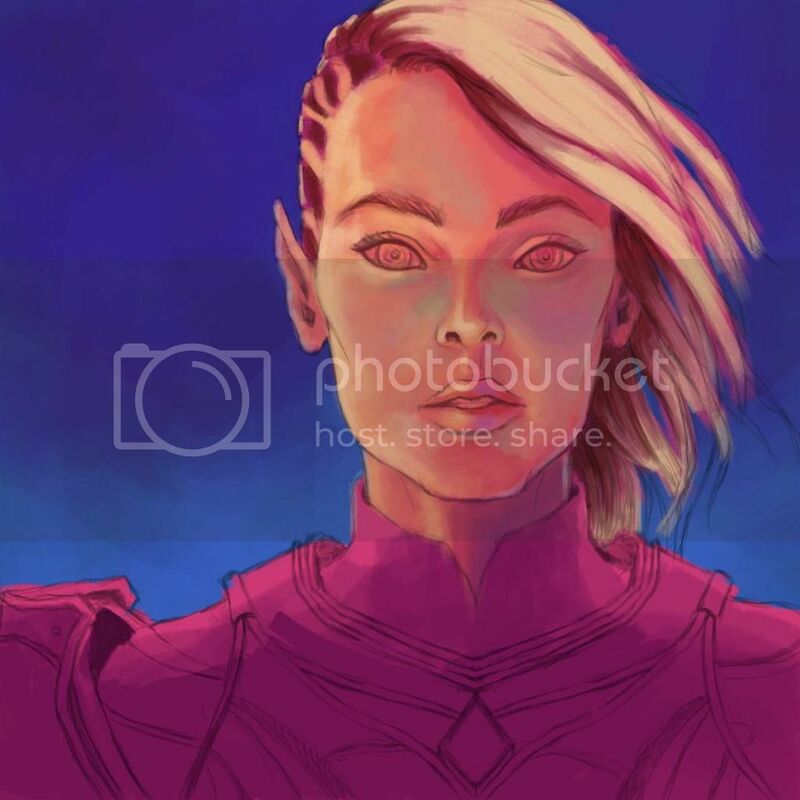 I know there aren't Aasimar as a race in game, but this is my half-elf paladin that I did up to be as Aasimar as I could get with the character generation. I did this portrait of her though for a digital painting competition and for fun Hope you all enjoy! Very nice! I like the contrast created by only using gray-scale and gold. This is a beautiful painting. The gold detailing really stands out, and her golden feather tattoo looks wicked. Latest character portrait. Been on a bit of a hiatus since having a kid This is my GWF, hope you all enjoy! IMHO it deserves at least one of those LSD / Disco panthers or something unique. @strumslinger maybe some sort of competition for stuff like this ? Or just spotlight ? Or just give aways for notable art. Thanks for the support I do already have a rainbow panther from Andy which I adore I love my characters and I love painting them. I just hope other people enjoy too! Folow me on Deviant art! BTW I like your style. Do you have a DA account? I'd love to watch and see more of your stuff. 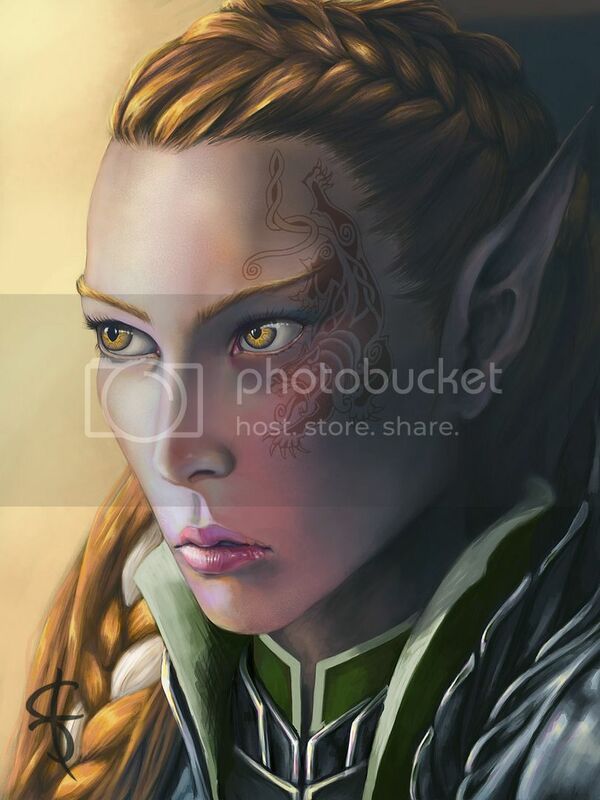 It is not very often I get to se a fellow artist in the forums. Wish You'd portrait my Guardian some day... You do have a talent to paint faces, seeing its lines even better that it is shown in the game. You do give soul to your characters! So it's been a long time since I looked here. Life has been crazy and I have been sidetracked. What a wonderful surprise to see more support! Thank you all My computer that I use for art has sadly died for the time being... hopefully to be resurrected within the next couple weeks. But after reading the support here, thought I'd throw a few work-in-progress shots. Per your request, I am also linking my DA and Facebook sites. There is certainly more work posted in both. FB is best for seeing a piece evolve, DA is generally reserved strictly for the finished product. Again, thank you all for the kind and lovely comments It's very encouraging to keep producing these!